In my work, it’s the time of year on campus when things are gearing up for graduation – and a big part of that process at a lot of universities and colleges is choosing a commencement speaker for the graduation ceremony. I’ve sat through these ceremonies as a graduating student and as a faculty member, and I have some painful memories of very tedious, long-winded speakers who spouted cliche after cliche. But I’ve also been privileged to hear great speakers like author Antonine Maillet; at the ceremony where I received my MBA, she gave a beautiful address that was like being told an enchanting tale about the power and magic of books. This past week marked the first anniversary of the Boston Marathon bombings. And it’s also nearly a year since I was in Boston, just after the bombings, in a bright sunny springtime. 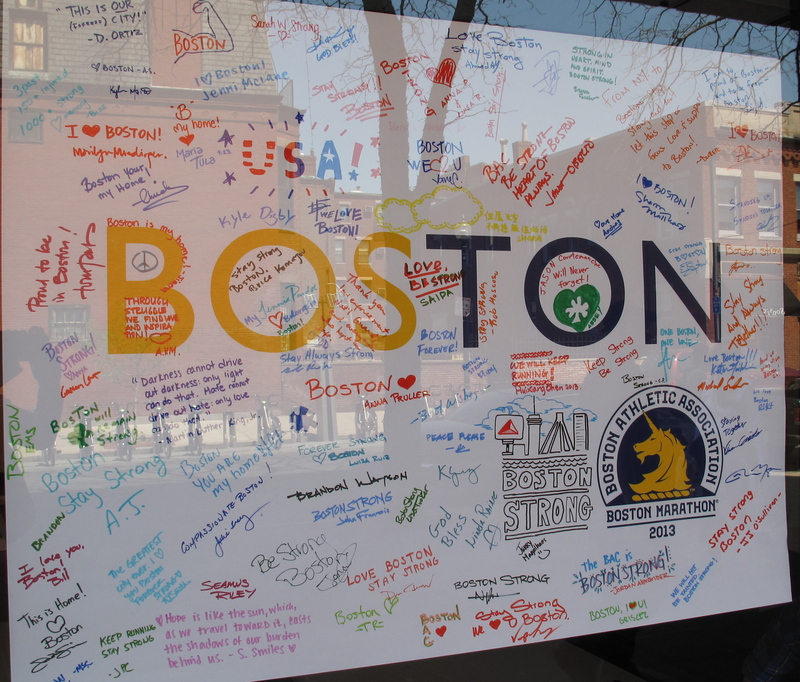 One of the many posters and signs expressing support for Boston after the bombings – this one at the Boston Architectural College on Newbury Street, May 2013. In 1989, sociologist Arlie Hochschild published The Second Shift, a book about her long-term study of how a group of employees balanced their work and their family commitments. The title of the book referred to the employees putting in a shift of work at their workplace, and then going home to undertake another round of work in managing their households and their families. The book was hugely influential in many ways, not least of which was Hochschild’s finding that even when the employees had access to flexible work arrangements, such as compressed work schedules or flextime, they were reluctant to use them. Even if flexible work arrangements would have helped the employees better manage the demands of their two “shifts”, the employees – especially the male ones – thought their careers would be hurt if they were perceived as being less than committed to their jobs or to their employer. But that was 1989. Things are different now. 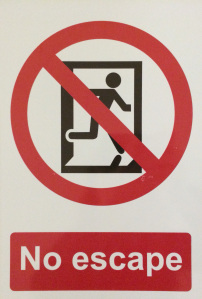 Or are they?